Making money on items I sell and finding great deals on clothes and other items for my kids! Popular sale so I am able to sell a majority of my items. Organized. 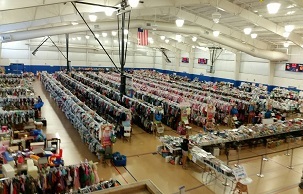 I enjoy consigning and volunteering at the event. The event is very well organized and the owners are so nice. I also enjoy making money and helping others save money.